← Summer Is Not Over Yet… Adventureland Fun! Today’s Monday Mealtime is an all time favorite of mine. 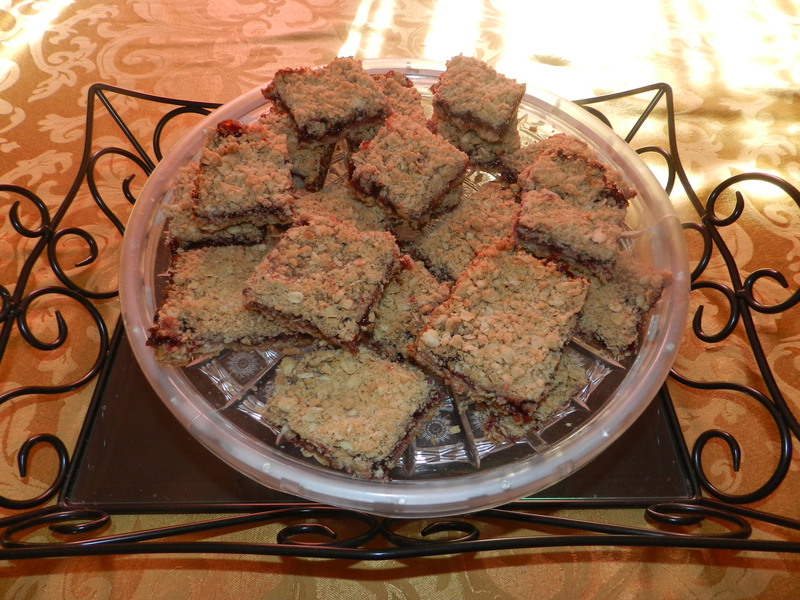 It is my go to dessert to bring to someone’s house and I always get rave reviews! The credit for this recipe goes to my friend Kim O. She sent me the recipe years ago and I have been making them ever since. These can be really sticky when you cut them up. The best way I have found is to stick the pan in the fridge for 10 or 15 minutes. When they are chilled they cut into squared pretty easily. They last a long time and are great for trips. 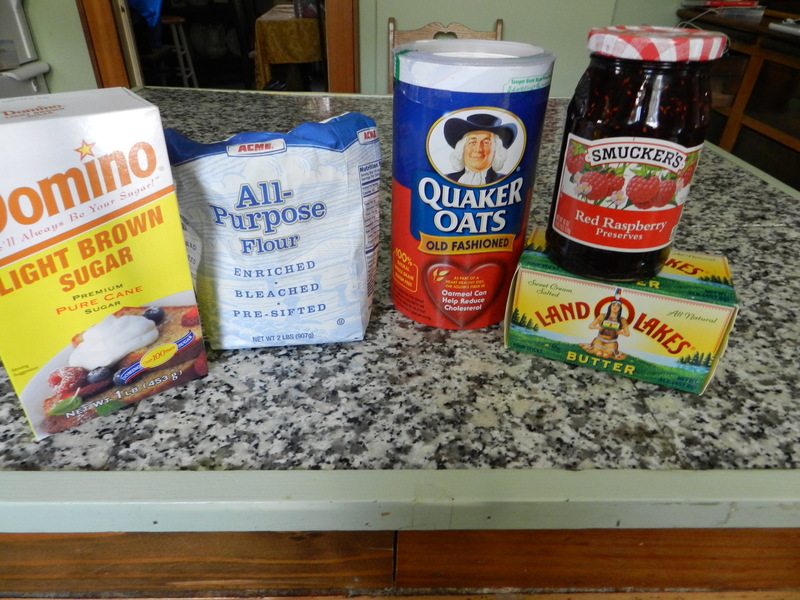 This entry was posted in Food & Snacks, Recipes and tagged Cooking spray, dessert, dessert bars, fruit bar, Quaker Oats, Quaker Oats Company, Raspberry Bars, smuckers raspberry preserves. Bookmark the permalink.